The promise of a free pint.. There. Clearly you are a white jamaican who fires people in an endearing accent. Also you have a dog called Jonny. there's something very wrong with that dog. it doesn't have a nose. It must smell terrible. Sorry! 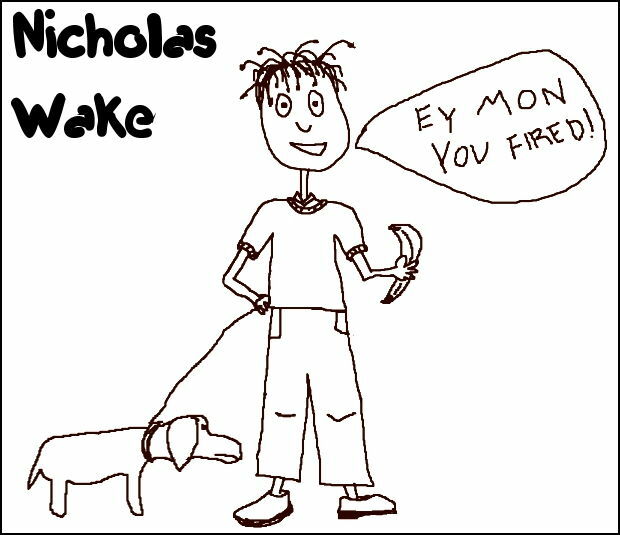 I want to have a go with this drawing Nicholas Wake molarkey. I absolutely LUV the pic dan. I am a bit worried about the lack of ears but that is more than made up for by the banana.